Are you headed to Dallas? 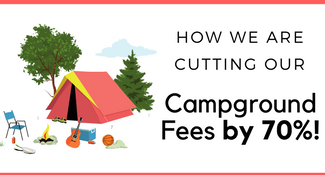 If so, you may be wondering how your family can have fun, but stay within your budget. 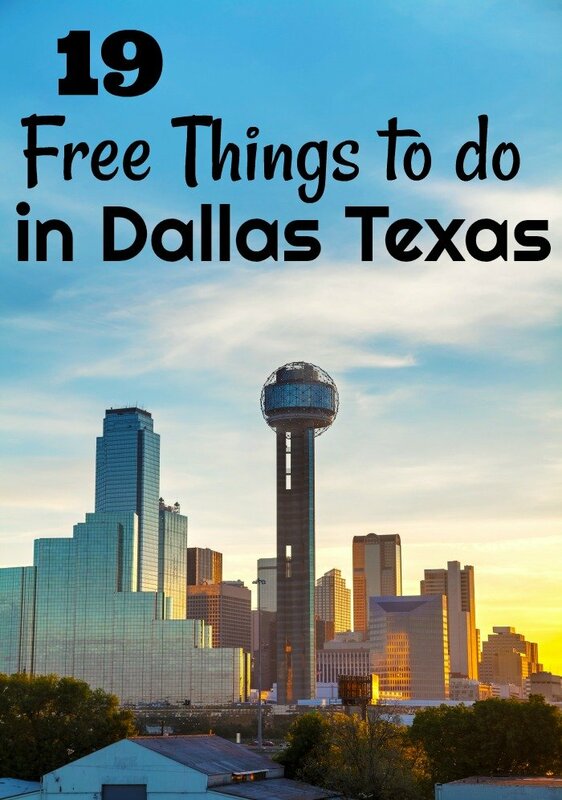 The answer to that question is the long list of free things to do Dallas Texas! The DFW Metroplex is a huge area, and that means there are lots of free things to do that your family will love! 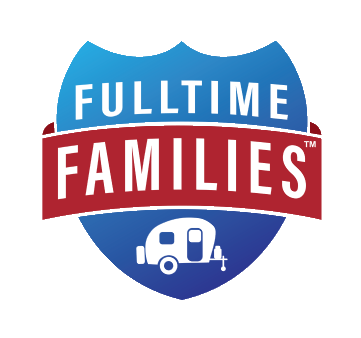 The more your family can experience for free, the easier it will be for you to stay within your vacation budget! If you’ve never visited the Dallas-Fort Worth area, you might not understand how large it truly is. The entire DFW Metroplex could fit the entire states of Rhode Island and Connecticut inside of it! That is a good thing for someone looking to travel on a budget though since it means loads of free things to do in Dallas Texas! Whether you’re looking for a day spent outdoors or a night on the town, you’re sure to find something to keep you and your family occupied when you visit Dallas. These 11 free things to do in Dallas, Texas below are my favorites, and I’m positive you’ll love them too! 1. Mary Kay Cosmetics Headquarters – If you’re a fan of Mary Kay, make sure to swing by their Headquarters in Addison! You can visit the Mary Kay museum totally free which includes a theater and hall of honor. 2. Pioneer Plaza Cattle Drive – What would a visit to Dallas be without a cattle drive? Head downtown to Young and Griffin Streets and you’ll find a larger than life one! With 70 bronze steers and three larger than life cattle ropers, you’re sure to have fun imagining what it would be like to have participated in the actual Shawnee Trail cattle drive that took place on this very spot in the 1850’s! 3. Founder’s Plaza – Head down to Elm Street and visit Founder’s Plaza. Next, to the Old Red Courthouse, you’ll find a replica of Dallas Founder, John Neely Bryan’s log cabin. The site also includes a fountain and a map of Dallas County from the 1800’s. 4. Dallas Museum of Art – If you’re a fan of visiting art museums, the Dallas Museum of Art should be on your list and yes! You can visit for free! The first Tuesday of every month is totally free! 5. 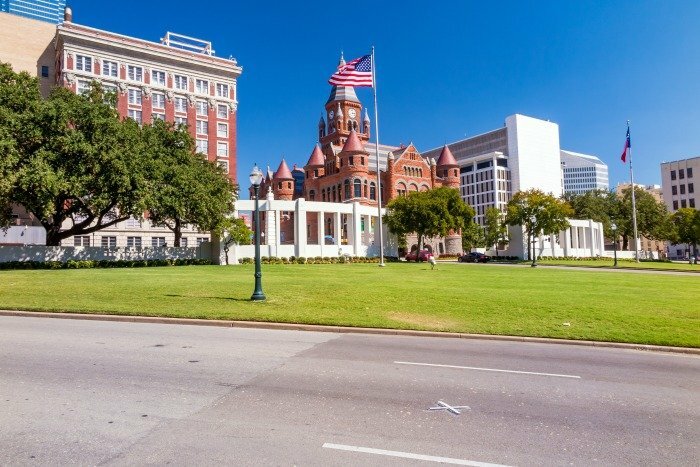 JFK Memorial and Dealey Plaza – History buffs will enjoy taking in the memorial to President John F Kennedy and walking around Dealey Plaza. The memorial, built in 1970 was created in an “open tomb” style to symbolize the freedom of JFK’s spirit. You can also see the X on the pavement were JFK was assassinated, in front of what is now the museum. If you do happen to have a few dollars to spend, you can also visit the 6th Floor Museum while at Dealey Plaza to learn more about JFK, Jackie O and the events that led to the assassination. If you want to visit this museum I highly suggest the Dallas CityPass, it will allow you to get into 4 of my favorite attractions for 41% off admission prices! If you want to learn more about the Dallas CityPass, I did a write up from our visit. Visit the JFK memorial and see the X on the pavement where he was shot. 6. Founders Plaza Observation Station – Do your kids like watching planes? If so, pop over to Founders Plaza at the DFW International Airport to watch over 2,300 planes take off each day! You’ll get to use long distance binoculars to watch the takeoffs and landings, a graph board to help identify aircraft and will be able to listen to air traffic control live! 7. Kiest Park/Fantasy Landing – Fantasy Landing at Kiest Park is one of the most amazing handicapped friendly parks in Dallas! It received an “A” rating on the DallasChild’s Safety Report Card which means you can let your kids play until their hearts are content! It was built with all children in mind which means that there are customized ramps and pull-tunnels with bars for kids in wheelchairs, brightly lit paths for kids who are visually impaired, vented slides and more! Kiest Park is located on S. Hampton Dr. in Dallas. 8. Children’s Medical Center of Dallas – It doesn’t seem as if a children’s hospital would be on our list of free things to do in Dallas, but if you or your family are model train buffs, it should be! Head over to the lobby of the Children’s Medical Center of Dallas between 6 am and 10 pm each day, and you can take in the largest permanent model train display in the country. 8 model trains run simultaneously through the lobby making it a fantastic stop on your list! 9. White Rock Lake – Feel like getting outside? If so, head to White Rock Lake to enjoy everything from running trails to picnics perfect for amazing family photos. 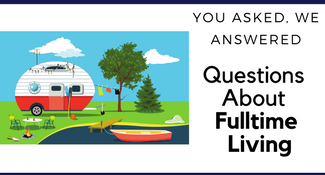 Paddleboarding, canoeing, rowing, and sailing are also fantastic options if you’re looking to spend some time on the water. While you’re there make sure to check out the dog park, Big Thicket, and the Cultural Center. 10. Federal Reserve Bank of Dallas – Ready to learn about our monetary system and where it comes from? Swing by the Federal Reserve Bank of Dallas! With their “The Economy in Action” exhibit, your whole family will learn about money and the economy, see historical money, learn about the FED and much more! 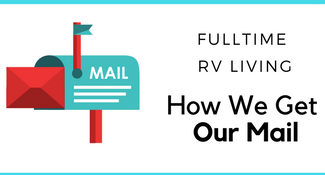 If you’re a homeschooling family, be sure to check their website since they often offer free curriculum options to go along with your visit. This is the ONE to see if you only have time to visit one thing on the free things to do in Dallas Texas list. 11. 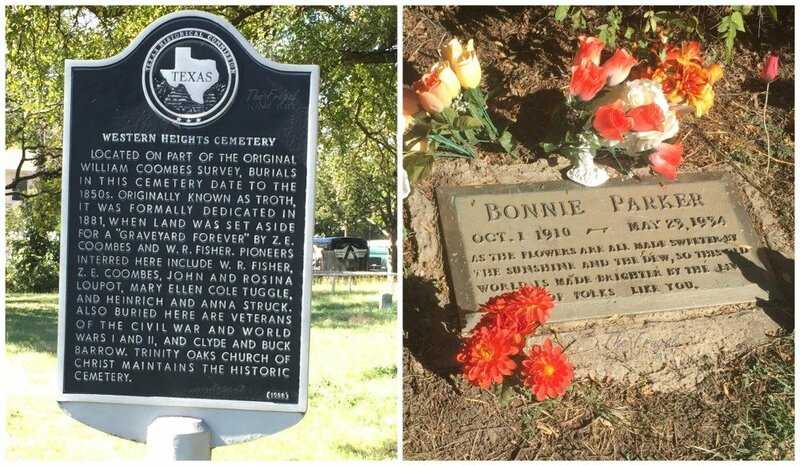 Bonnie Parker’s Grave site – Bonnie Parker and Clyde Barrow are two of the most notorious criminals in American history, and if you’re in Dallas, you can visit Bonnie’s final resting place. Her gravesite is located on Webb Chapel Road in Dallas. Clyde’s grave is also in Dallas but not as easily viewable. 12. Clyde Barrow’s Grave – You can’t visit Bonies Grave and not Clyde’s! They aren’t buried together, and it’s was a jab to them from their families since they weren’t married. Their graves are several miles apart, and Clyde’s isn’t as easy to see as Bonnie’s. 13. Thanks-Giving Square – The Chapel of Thanksgiving looks so out of place in downtown Dallas, but I think that’s part of the appeal! 14. Deep Ellum – This is a neighborhood in Dallas with a rowdy history. From its music beginnings of Jaz turn gambling. Now it’s a huge area for art museum and culture. This is a great area just to walk around and take in. 15. Dallas Fine Arts Chamber Players – These guys are a must see! They play all around the city in free performances. 16. City Hall – The building is a piece of art all on its own. There is also a 7-acre plaza filled with sculpture by Henry Moore. 17. Ride the M-Line Trolley – This trolley service has many popular stops around downtown and it free to ride plus you can get a great tour! 18. Ride D-Link – This is another free service! With different stops then the M-Line. 19. Dallas Farmers Market – Open 7 days a week it’s great to walk and take a look at all the booth and talk to the locals. 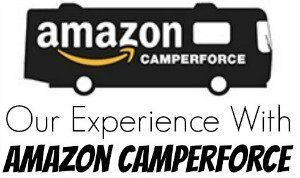 This is the best place to find out about more things to do! Make sure to also check out the 31 free things to do in Fort Worth Texas they are worth the drive! Again don’t forget to also check out our Texas Resource page! Did I miss any free things to do in Dallas Texas? Let me know in the comments below, and I will add them! I’d also love to hear your thoughts on the list.